KREYOL: MOVE Nouvel... Ou tande bagay saa? 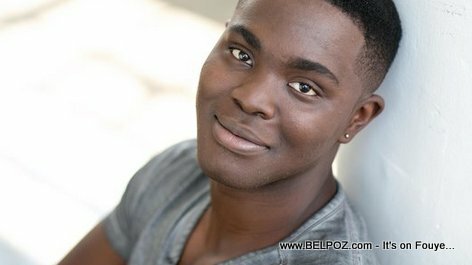 Kyle Jean-Baptiste, yon jenn Haitien-American ki fè listwa nan Broadway kom premier Americain Noir ki jwe role Jean Valjean nan Les Miserables, Misye Mouri, li sot tonbe 4 etage nan yon escalier de secours (fire escape) nan apatman manman li nan Brooklyn New York... Kisa ou panse de sa??? Kyle Jean-Baptiste was the son of a Haitian man, Serge Jean-Baptiste. He was born in New York on December 3, 1993. Kyle was spotted by Les Miserables casting directors during his senior showcase while attending Baldwin Wallace University in Berea, Ohio. The day after graduation, they asked him to join the cast. 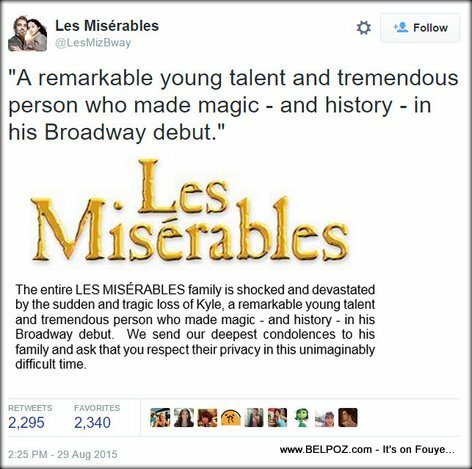 Kyle made his first appearance as Jean Valjean in Les Miserable on July 23, 2015, les than a month later, on August 27, 2015, he died after falling from a fire escape in Brooklyn, New York.